Recently I got a ASUS RT-AC68U wireless router. it was around 230$ dollars when I bought it. 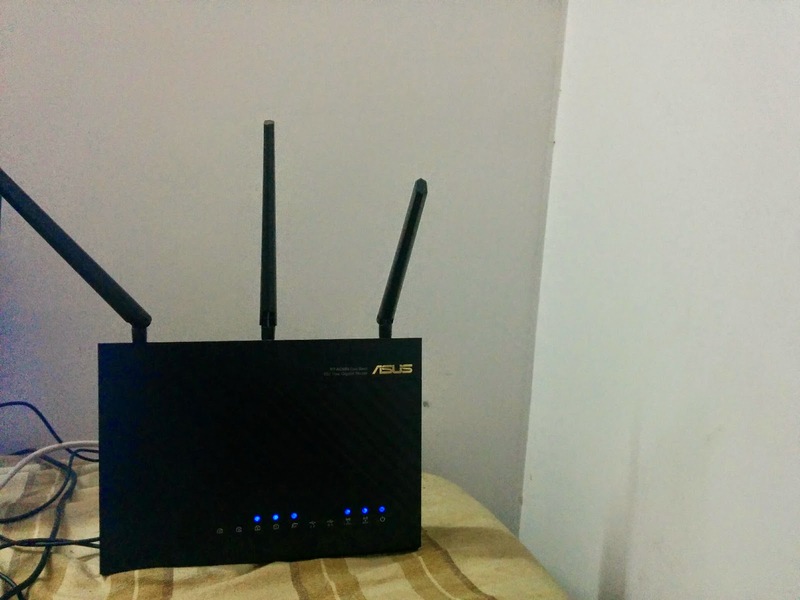 I could have bought some low cost router but i thought ASUS RT-AC68U suits my requirement. 1. To have good wireless speeds. 2. wireless AC. right now I have three devices, two smartphones which can use AC and My laptop. soon I am planning to buy a smart tv and a tab soon which of course would support wireless AC so i wanted the router to be future proof somewhat. 3. Ability to remotely monitor my router settings and ability to do downloads directly via router. My router configurations are as follows. 1. Internet - Primary WAN - ACT Broad band 25 mbps and Secondary WAN 8 mbps airtel in load balance mode. 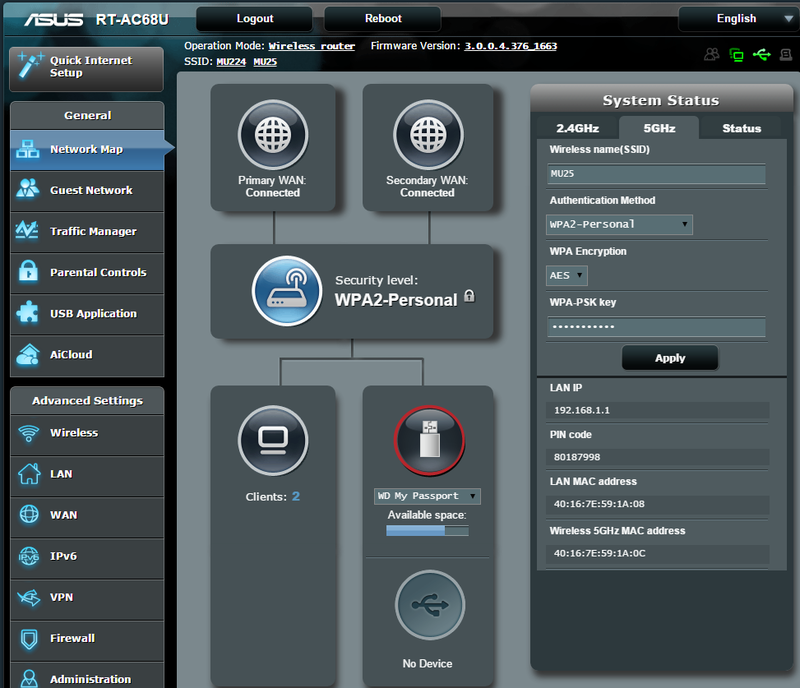 2.I have set up a DDNS provided by ASUS DDNS service. 3. Western Digital 1 TB external harddrive connected via usb 3.0 port to the router and I have set up a ftp server to access the files over internet. 4. AiCloud has been enabled to access the contents of the harddrive via mobile/browser. Initially I had problems with setting up dual internet . 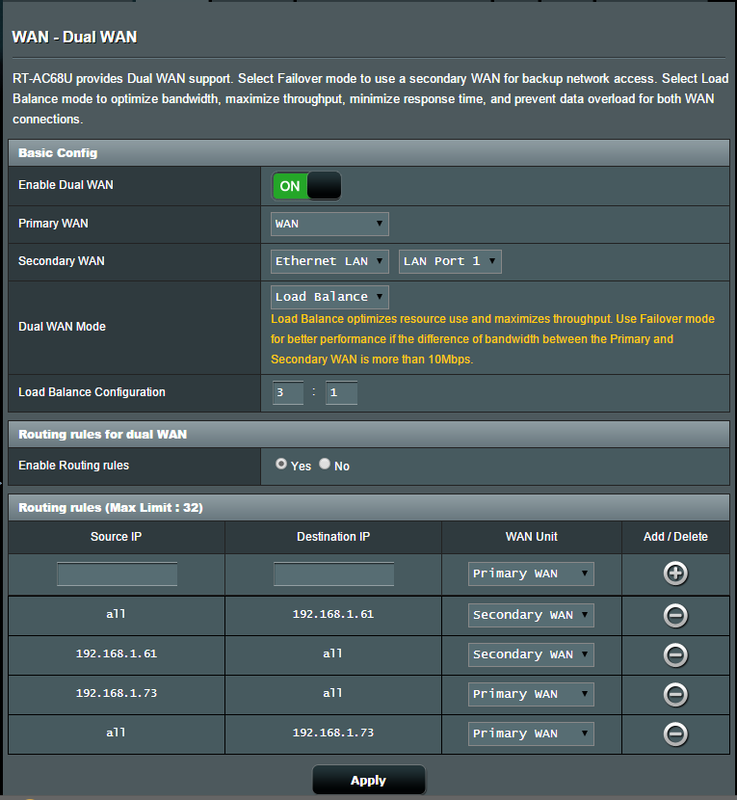 My router was on firmware version 3.0.0.4.374.5656 after upgrading to the latest firmware 3.0.0.4.376.1663, I was able to setup dual WAN without any issues. somehow ASUS did not automatically check and install the latest firmware and I had to do it manually. 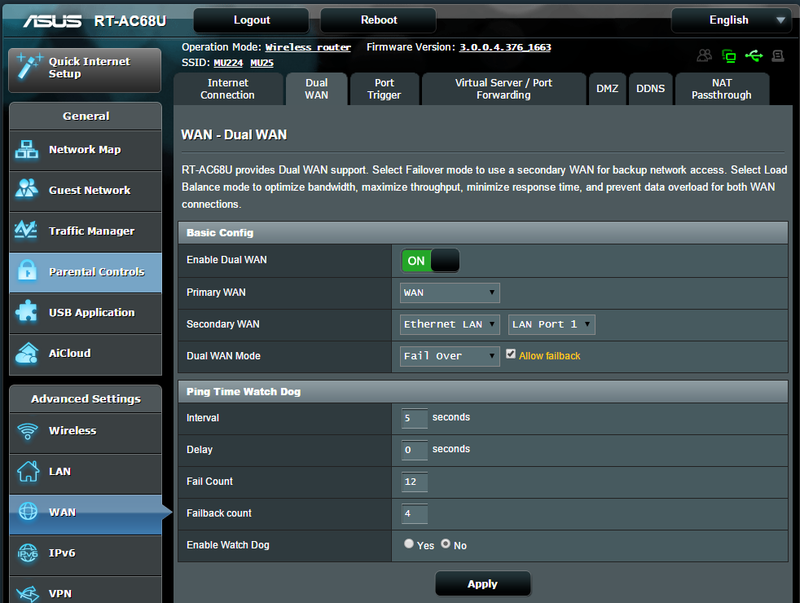 you can find the latest firmware here ASUS RT-AC68U . 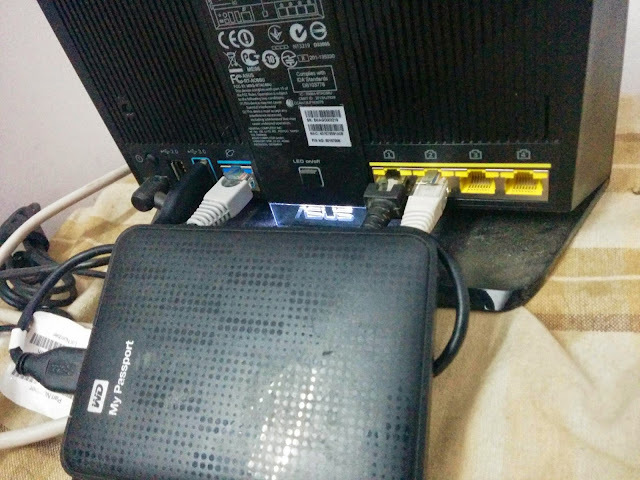 since the secondary internet AIRTEL is ADSL line, we cannot directly connect this RJ15 type to the router. we have to use an ADSL modem and connect its output RJ45 to the RT-AC68U router. we can use the adsl modem in two ways, we can use it in bridge mode or we can use ppoe mode in adsl modem. it is better to use the bridge mode on adsl model and confgure the internet connection setup on the RT-AC68U router, this is very useful if we want to use DDNS. the other option is to use the ADSL modem with ppoe and configure the modem as DHCP server. for this option, you have to change the adsl modem's base address first so that it will not conflict with the RT-AC68U's address range. I will explain this in another post in detail. as of now I am using the second option for my adsl modem since my modem did not work in bridge mode. my router has been top notch and I schedule my download tasks via my mobile app and when i get home i will have the movies ready to watch . :-). please leave your questions in the comments section, if you need any help with configuration. I am more than willing to help. stay tuned for my detailed walk through on dual WAN configuration and configuring ADSL connection to be used as a secondary internet with RT-AC68U.